Gianni Versace is one of the 20th Century's most talented designers. The Versace brand is the bearer of Italian excellence throughout the world. Versace is famous for collections which have linked to decorative emblems like the Medusa or the Neo Classical Greek Fret and these symbols have now become iconic. You will find them in the Versace wallpaper collections. 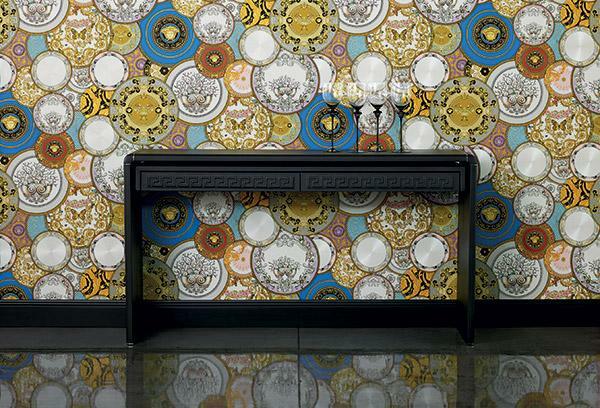 Pictured here is a small selection of the Versace wallpapers and any of the collection is available to order from our Bootle showroom.